We think of everything for your brand. We look after your brand as if it were our own. We develop clothing collections that enhance and valorise your image and even handle sales and distribution. We guarantee effective management of all aspects of the licensing process: strategic, contractual and operational. We guarantee the effective valorisation and consolidation of your brand, with the aim of achieving the best possible results in terms of reputation and image. 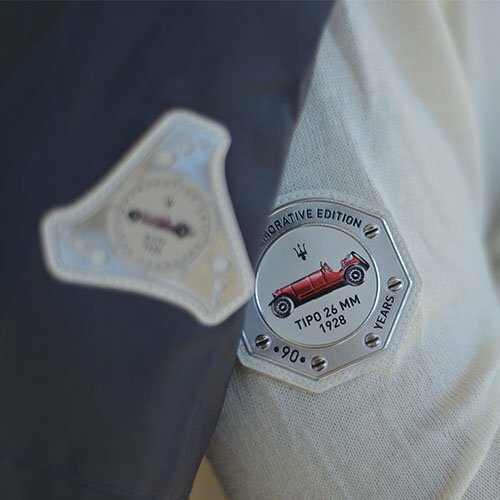 Maserati Classiche returns to the roots and opens the doors of the company's precious historical archives of documents, technical drawings and designs from 1926 to 1985, reviving memories through our licensed clothing and accessory collections. The main objective of Maserati Classiche is to promote the company's unique historical heritage and to support events organised by fans of the brand and by Maserati Clubs. Close synergy unites our two excellences in a shared determination to communicate the identity and heritage of the Bugatti brand through a capsule collection of clothing and accessories for men and women. The “110 Ans Bugatti” collection consists of 34 garments and accessories. It includes T-shirts, jackets, fleeces and caps and accessories like power banks, key rings, notepads and credit card wallets. The heritage of the Bugatti brand is celebrated through top quality materials and great attention to detail. 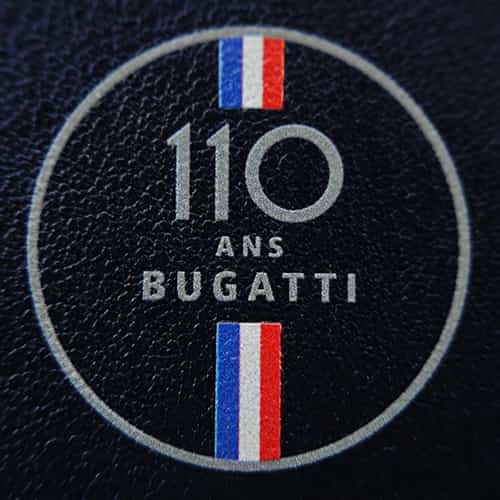 Iconic logos like the Bugatti Macaron, reproduced especially for the 110th anniversary, and drawings relating the history of Bugatti through its most iconic cars make this capsule collection truly unique. 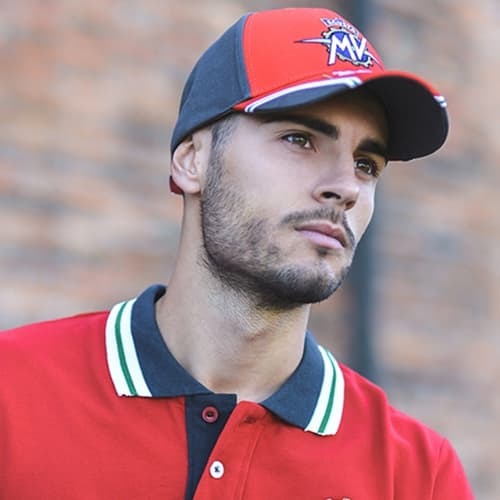 Europe's most successful motorcycle racing team of all time has chosen us as their official partner to design and produce a line of merchandise for the replica collection inspired by the official MV Agusta Reparto Corse team. As licensee of the MV Agusta brand, we manage worldwide sales via leading Motorsport distributors and via the www.mvagustastore.com e-commerce platform. 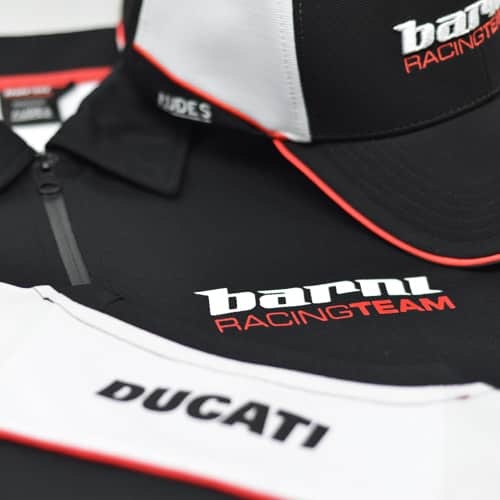 We have joined Barni Racing Team for the 2019 Superbike championship and manage the team's replica collection under licence. As suppliers, we have also developed the clothing worn by the teams and riders in the 2019 championship. 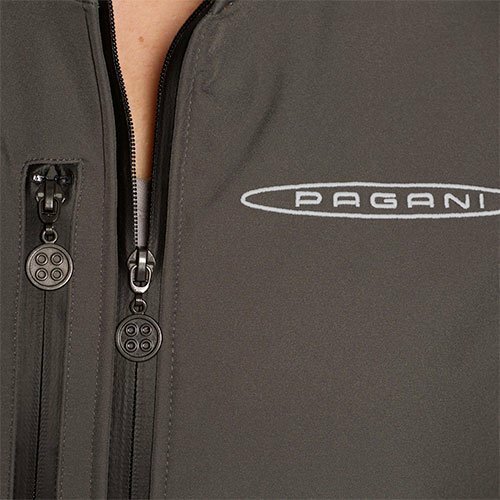 As Official Clothing Licensee of the prestigious Pagani Automobili brand, we are responsible for the development and management of the Pagani Automobili collection, which is also available from the company's own www.paganistore.com e-commerce platform. We conceive and design your collection. We develop the most effective ways to increase your visibility. We manage stock and logistics. We use the most suitable distribution and marketing channels to ensure that your customers can always find you. Thanks to an extensive network of channels in the Automotive, Motorsport and Fashion sectors, we can guarantee global distribution with a special focus on Europe, Asia, North America and the Middle East. We offer you the chance to use our own experienced, in-house team to develop an on-line sales and product management platform. Our AUDESWORLD store is a new concept in physical and virtual space where the brand is central to the purchasing experience. Fill in the form to receive more information about our collections.